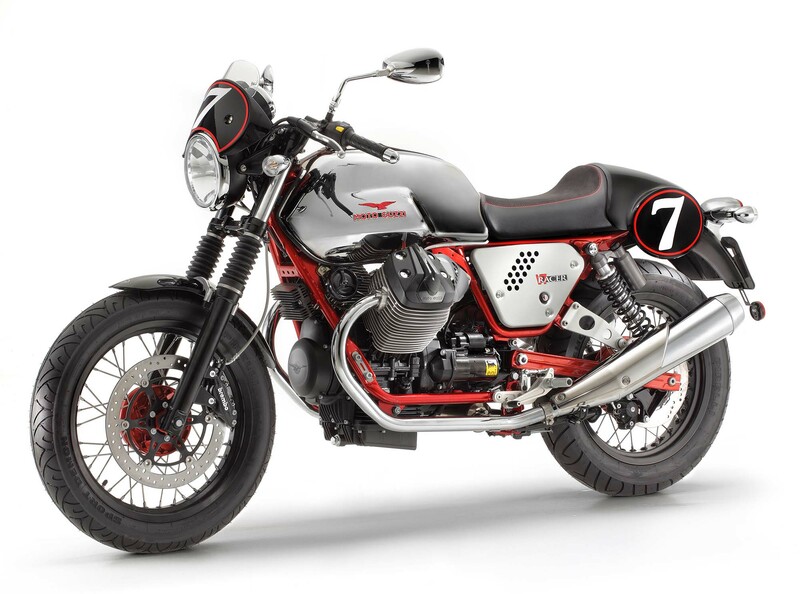 For the new model year, Moto Guzzi is bringing three variations of its V7 line to the United States with includes the 2013 Moto Guzzi V7 Stone, 2013 Moto Guzzi V7 Racer, and 2013 Moto Guzzi V7 Special. Based around the Italian company’s revised 750cc 90° longitudinally mounted v-twin motor, all three models also sport a cardan-shaft drive and double-cradle “Tonti” frame, for that classic Guzzi retro look. 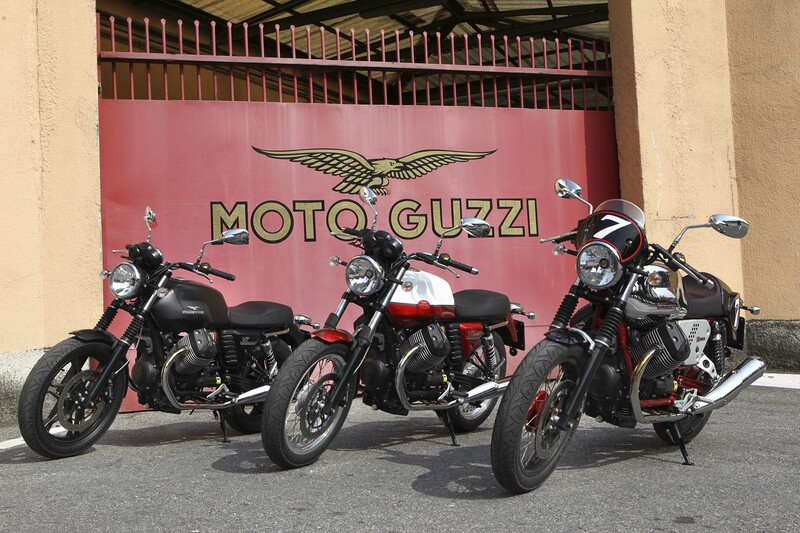 The three Moto Guzzi V7 models should be popular with riders who are looking for a throw-back aesthetic, with a bit more modern engineering. 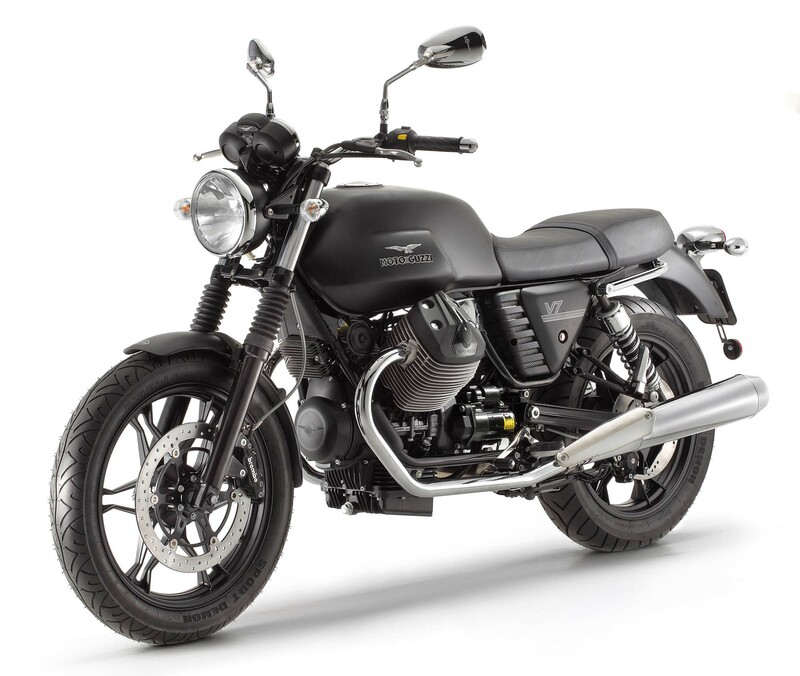 That being said, Moto Guzzi has struggled for traction in the US market, due in part to an inadequate supply/support chain, but also because of some confusing marketing and segment placement. While the Piaggio Group subsidiary struggles to find its identity, we think the company should further explore bikes like the V7, which provides a unique alternative to the standard modern-bike fare, and creates a bit of distance between Moto Guzzi and the rest of the Piaggio Group line-up. A completely new version designed to appeal to younger riders, complete with a competitive price point; trendy, agile, easy to customize with an array of accessories. The V7 Stone features the new and more powerful, 750cc, 90-degree V-Twin motor and new lightweight, six split-spoke alloy wheels. The simple color scheme combined with the six split spoke wheels enhance the chrome accents and make the Stone the ideal foil for a wide variety of Moto Guzzi accessories. The matte black or pure white tank and the chrome accents make the V7 Stone a showstopper on the road or at any café, bike night or local hot spot. The 2013 V7 Stone is available in Matte Black and Pure White. MSRP is $8,390 and will be available in mid-October at Moto Guzzi dealerships across the United States. The 2013 V7 Racer is an ode to café racer motorcycles from the ‘50s and ‘60s with the performance of a modern machine. The V7 Racer has a new 750cc, 90-degree V-Twin motor with increased torque, horsepower and throttle response for an enjoyable ride. The new V7 Racer features a myriad of unique style attributes—from a chrome fuel metal tank studded with red Moto Guzzi badges and finished with a handsome leather strap, to a suede leather seat with an aerodynamic seat cowl and ‘70s-style racer number plates. The V7 Racer is perfect for an adventurous rider with an eye for design and a wild streak. The 2013 V7 Racer is available in Chrome. 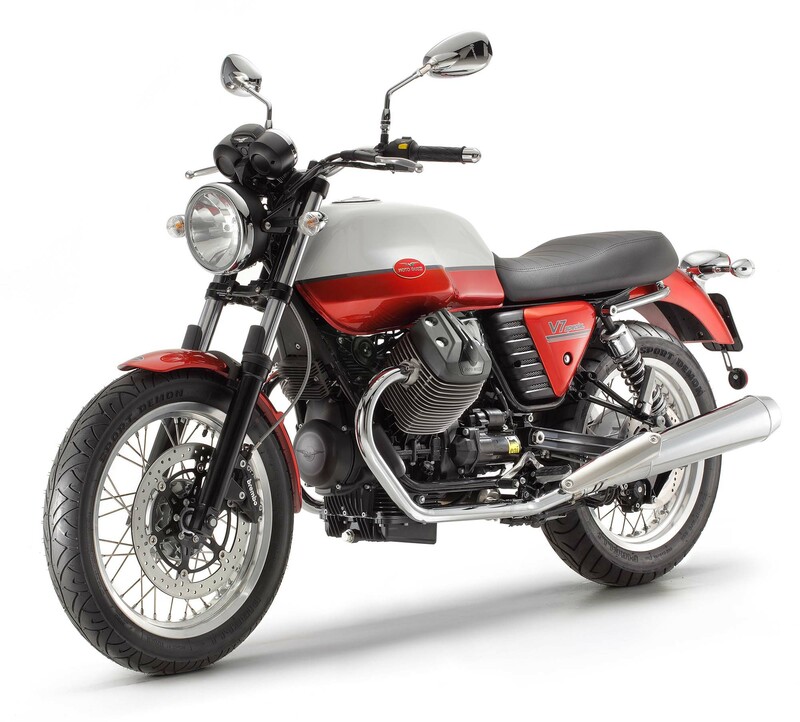 MSRP is $9,990 and will be available at Moto Guzzi dealerships across the United States in early-October.